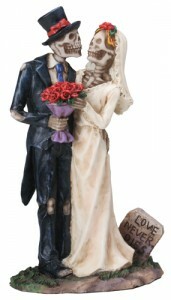 Having a Halloween wedding? 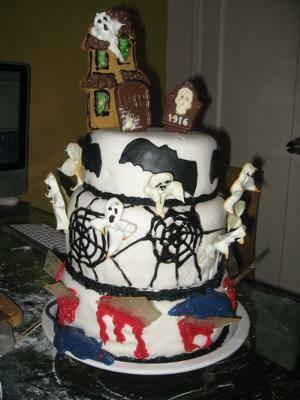 You might not want to make it a costume party, but you should definitely acknowledge the holiday with your cake. 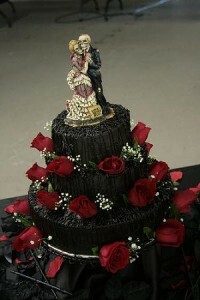 As with any themed cake, you can be as literal or as interpretive as you want. 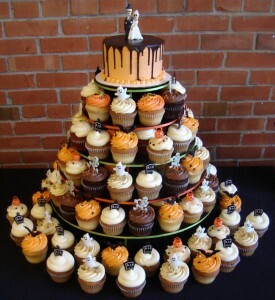 How about an orange butter cream cream over a cake shaped as a pumpkin? 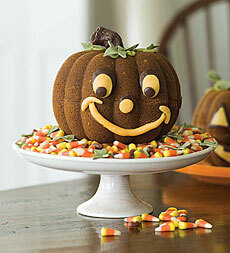 A little black colored icing or sugar can be used to make the decorative touches for a Jack o’ lantern. It doesn’t get more Halloween than that! 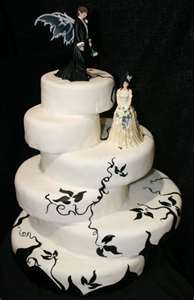 Or an orange fondant cake stenciled with black cats, bats, spider webs, and witches. But deep purple and crimson are other colors you can add into the mix and still keep within the theme. 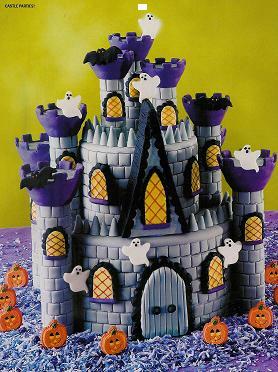 You could have a gothic castle built out of cake or a white cake with black spider web screening to embrace the holiday. 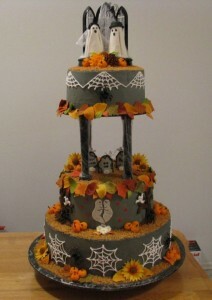 For an understated Halloween theme, you can have your white fondant cake stamped with a spider web design. This will keep the look white on white, so it will be extremely subtle. 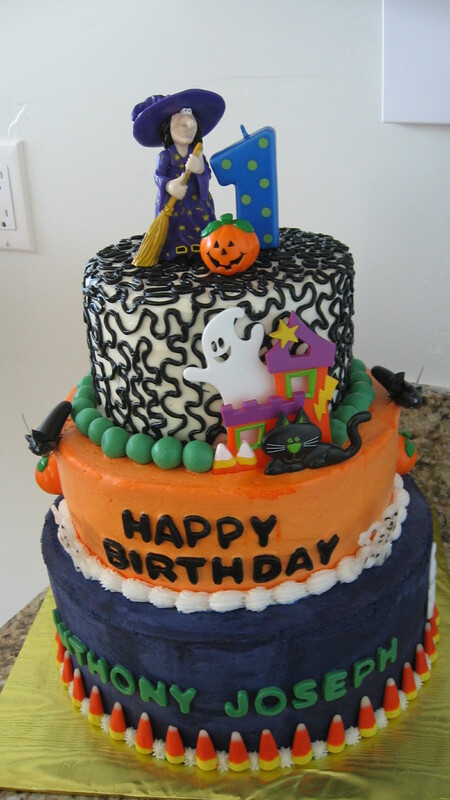 What flavor is a Halloween cake? Candy flavored of course. Halloween is the first of the chocolate holidays so fill your cake with a creamy chocolate mousse or rich chocolate ganache. If you have a favorite candy bar, talk with your baker, they may be able to recreate the flavor or add bits of this favored bar in the filling or the icing. If candy corn is your favored seasonal candy, you can have your towering cake shaped to look like the candy cone and icing in yellow, orange, and white. A little too much? Just have some candy corn decorating the outside of your cake. Prefer candy to cake? Instead of having a traditional wedding cake, have candy trees made of all those favorite bite sized bars that you trekked all over your neighborhood for. You could have one made for each table as a centerpiece.